TRUE NORTH’S Archipelago Adventure takes in the Louisiade Archipelago. During World War II this beautiful place was the stage for some dramatic events. Now, once again, it is a peaceful paradise. The Archipelago Adventure cruise offers the opportunity to explore this pristine environment and see some of the underwater relics of its wartime past. These adventures include the chance to dive on the wreck of one of the 20th Century’s most famous warplanes. Imperial Japanese Navy pilot Okura Shigeru was in big trouble. His Mitsubishi Zero fighter plane was low on fuel, its aircraft carrier home was damaged and possibly sinking and he was fast running out of options as his stricken aircraft swooped low over the pristine waters off Deboyne Island in the Louisiade Archipelago. It was May 8, 1942, and Petty Officer Shigeru had been involved in the Battle of the Coral Sea, the world’s first clash between fleets of aircraft carriers and widely regarded at the time as the battle that saved Australia from Japanese invasion. Somehow Shigeru managed to keep the plane level as he ditched it into the shallow lagoon and swam safely out of the sinking wreck to the nearby beach. 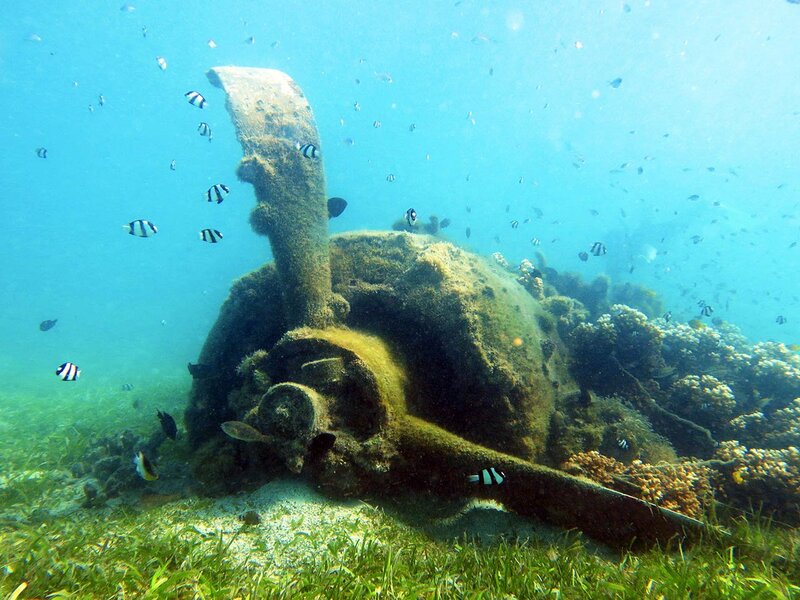 More than 70 years later, the almost intact aircraft is clearly visible on the sandy bottom, lurking like a giant shark and easily accessible to snorkellers and divers who want to explore the remains of one of World War II’s most iconic aircraft. 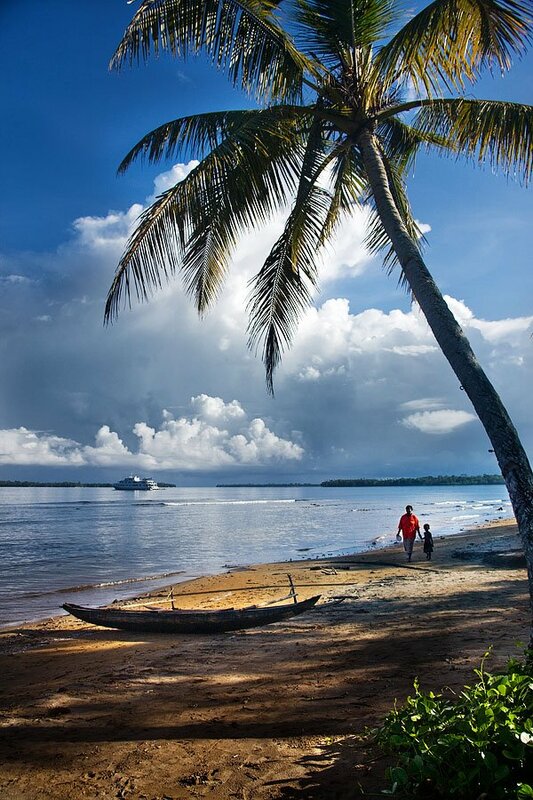 The Louisiade Archipelago, some 200km south-east of New Guinea, is a string of 10 volcanic islands fringed by coral reefs, and 90 smaller coral islands. It stretches over more than 160km and is spread over an ocean area of 26,000sqkm between the Solomon Sea and the Coral Sea. The first islands are close to the mainland and include Sideia and Basilaki. Further east are the major islands in the archipelago: Misima, Sudest (or Tagula), and Rossel. Sudest Island is the largest (800sqkm). All of the major islands of the Louisiades are volcanic, although there are numerous smaller islands that are coral formations. The region’s World War II history was short and violent. The Japanese set up a seaplane base on Deboyne but operated it for less than a week before the Americans discovered it and bombed the place to the point it was abandoned. Today it is hard to believe anything bad has ever occurred there. The archipelago’s reefs host a myriad of marine life to rival the Finding Nemo set for those who care to dive into its swimming-pool clear waters. 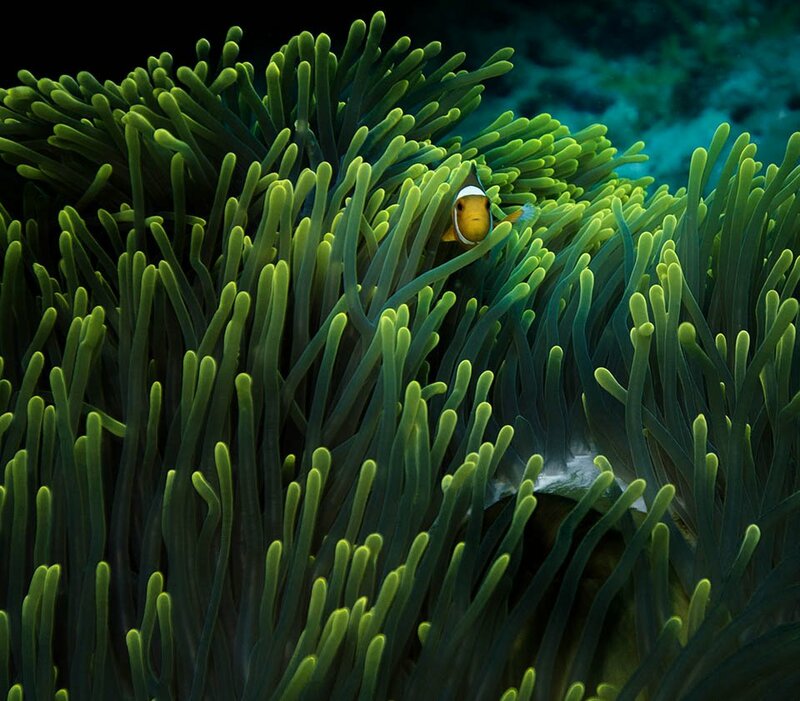 You’ll even see clown fish swimming in and out of the difficult-to-pronounce and harder-to-spell anemones. There’s no sign of Marlin’s friend Dory though, despite her rising Hollywood popularity. But like Dory, you’ll want to “just keep swimming” thanks to the average water temperature of 25 to 29 degrees. That’s about as warm as your home swimming pool gets if you forget to turn off the heating in an Australian summer. 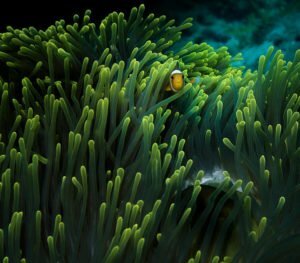 It is also an underwater photographer’s paradise, thanks partly to the stunning array of blues ranging from cobalt to duck-egg and even sky blue, and largely due to the unbelievable clarity. 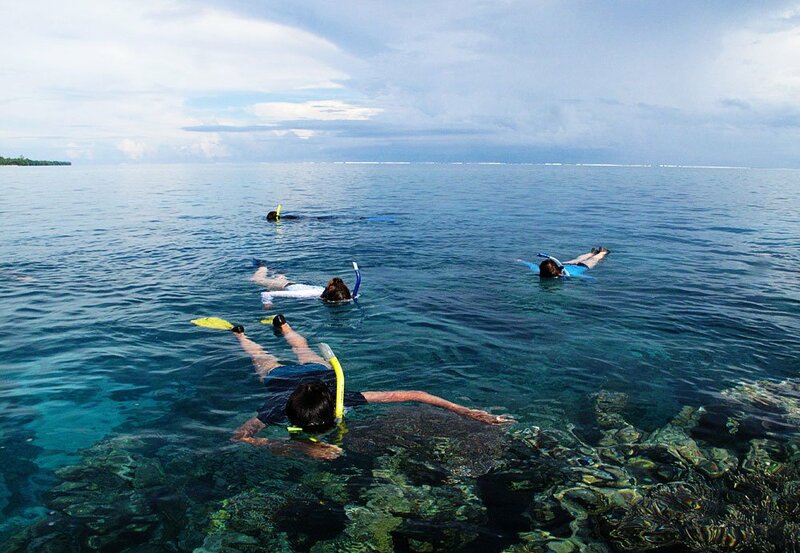 The area is widely praised as featuring some of the world’s best snorkelling and diving. Marine biologist and ecologist Andy Lewis, who is a regular on the TRUE NORTH cruises, says it presents an excellent example of highly diverse marine ecosystems with little human impact. 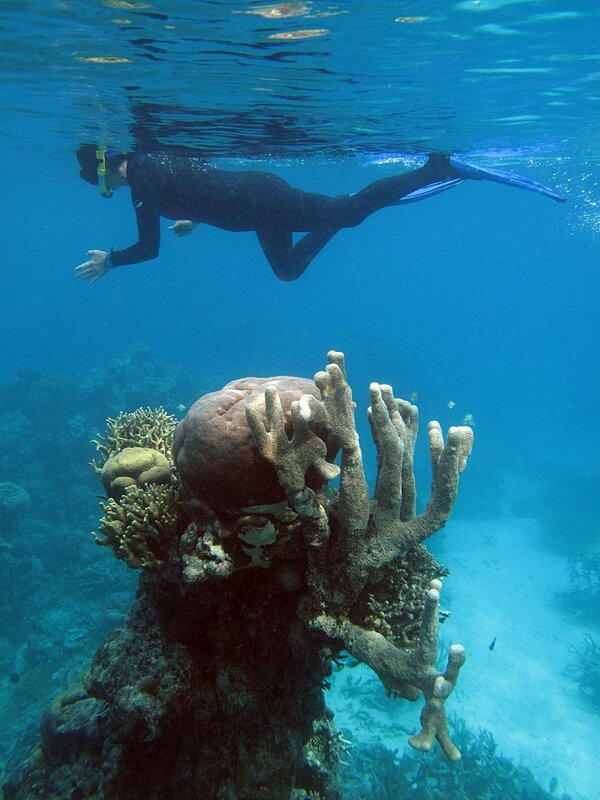 The fish densities and coral cover are exceptional. Unlike northern Australia, such as the Kimberley region, diving is much less hazardous thanks the comparative rarity of saltwater crocs. 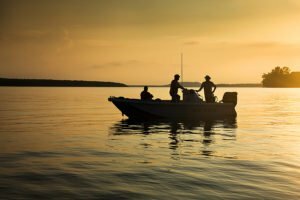 You might see one, and sharks are always a possibility despite being decimated by hunters for their fins, but you can concentrate on other things and enjoy the experience without the risks you’ll encounter further south. 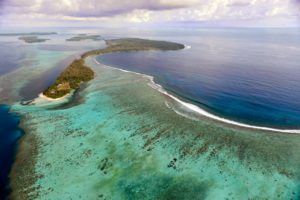 “There are fantastic reefs scarcely seen by other travellers with beautiful reef slopes dropping into indigo blue water, all teeming with fish and other marine life,” Dr Lewis says. The climate is moist tropical, and the vegetation consists of rain forest, although some of the low-lying smaller islands receive less rainfall. The World Wildlife Fund says the archipelago’s rainforests contain many endemic (unique in the world) species of plants and animals, particularly birds, that help define it as a distinct unit. The island of Misima stands out for having several ant plant species and an endemic pandanus − which looks like a small palm tree but is not particularly related. Rossel Island contains an undescribed diospyros species and several hopea species. Rossel also contains an undescribed genus in the family Burseraceae. 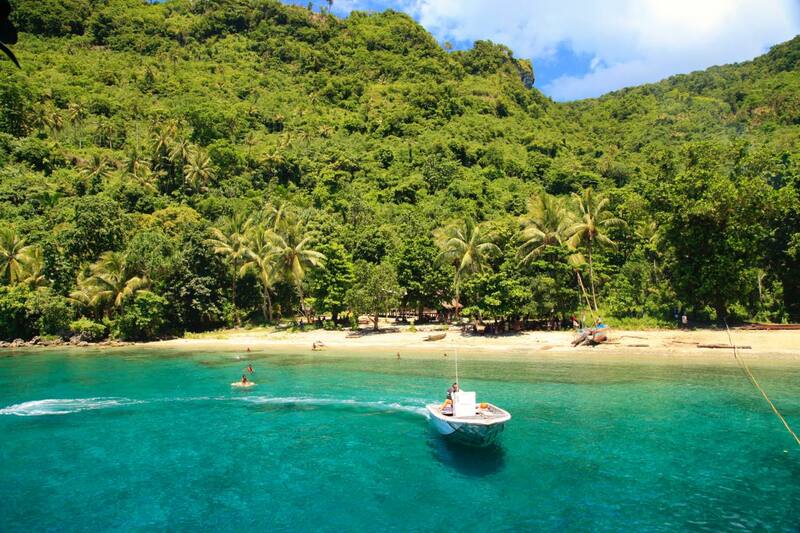 The archipelago is also noteworthy for its endemic reptiles and amphibians. Eight types have been identified, including five frogs and two lizards. There are 24 mammal species in the Louisiade rain forests. Most are bats (18) followed by rodents. No mammals are endemic to the Louisiade Archipelago, but three are near endemics. 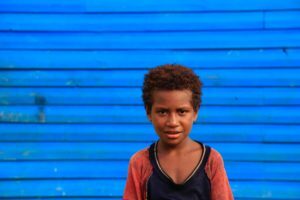 The people of the Louisiades are Melanesian and are exceptionally welcoming to sea-borne visitors, paddling out to say hello and to trade their local produce and crafts for other items not readily available on the islands. Prized goods in these trades include tee-shirts, fish hooks and fishing line, raw sugar, hand tools, batteries for torches, hats, sunglasses, soap and laundry powder. 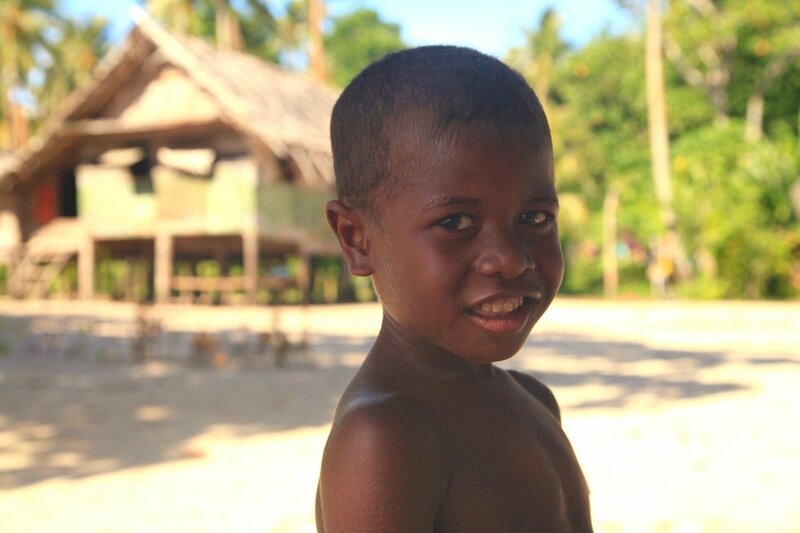 Although the need for money is increasing in these remote communities (they use it for school fees or to buy fuel for the long boats to reach islands with medical facilities), most trading consists of bartering for goods. Most live a subsistence lifestyle. 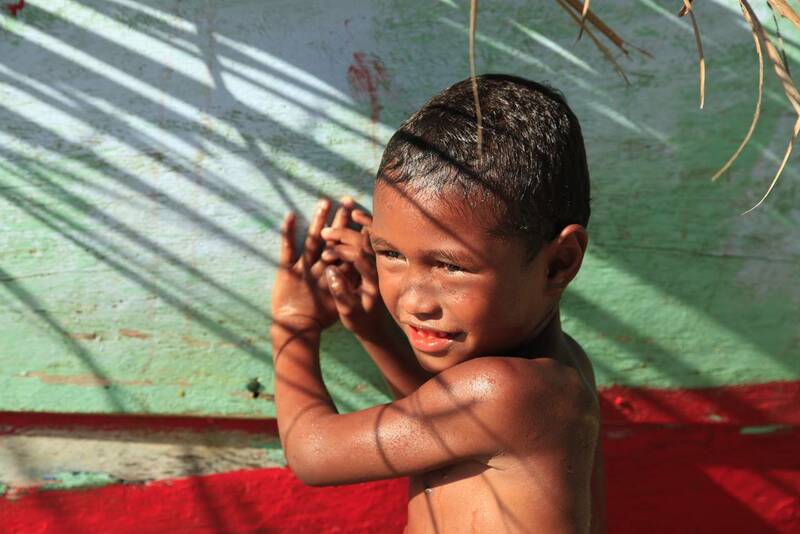 Many families have a garden where they grow fruit and vegetables, a few chickens and pigs, and each village has at least one fisherman with a sailing canoe. In these communities, almost everything is privately owned, including firewood, fruit and vegetables, and even the fish in the lagoon. 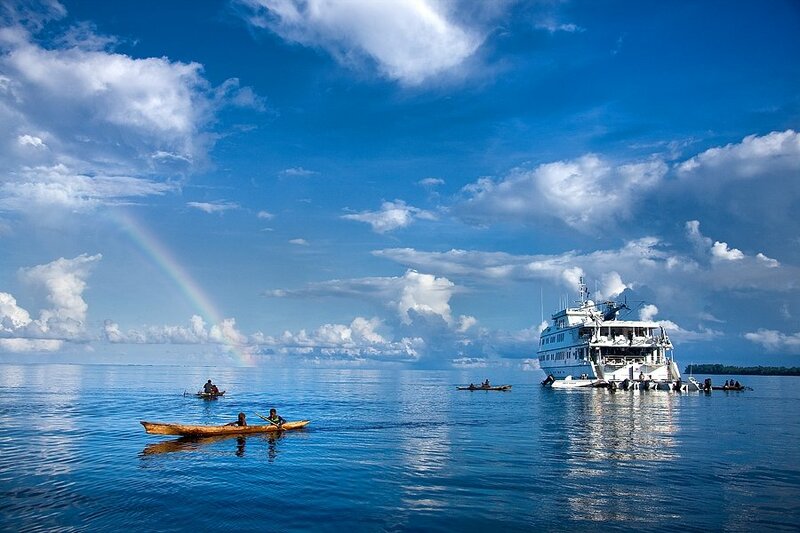 The economy on many islands isn’t based on cash and to buy anything would involve a long trip by sailing canoe − the main local form of transport − to a trade store. 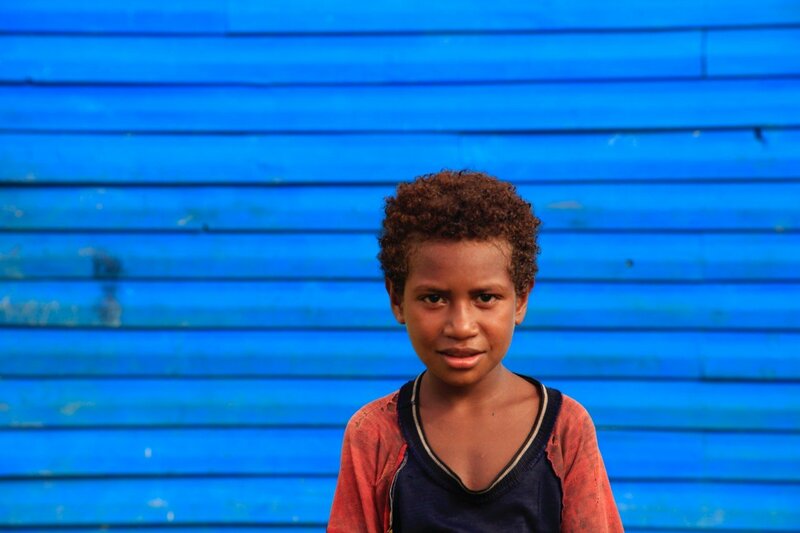 It’s common for people to live in villages with from one family to hundreds. There is no formal traditional chief system but every island has a councillor who sits on the local government body. An ancient tradition links islands around the Louisiade area − the Kula Ring system. Two kinds of ceremonial valuables are passed around on the Kula Ring: soulava, or bagi, long necklaces consisting of hundreds of pierced and polished Spondylus shells, which travel clockwise, and mwali, white armrings made of cone shells which travel counterclockwise. Both kinds of objects are decorated with tiny cowrie shells and other ornaments. The objects are exchanged between different partners on different islands, soulave being traded for mwali and vice versa. They will continue to make their way around the Kula ring as they are successively exchanged with partners in adjacent regions. Sometimes after several decades of travelling an object will return to its point of origin. The main modern religion is Christianity, although ancient ways persist and are present in the belief in magic, witchcraft, and sorcery. For the Dobu people, yam gardening, for example, is still accompanied by rituals, taboos, and magical incantations. The belief is that yams are “persons” and must be treated properly lest they abandon their owner’s garden for another. Every woman is a potential witch ( werebana) and every man a potential sorcerer ( barau ). The area is still rarely visited by the outside world, although the first known contact was more than 400 years ago when the Spanish navigator Luis Vaez de Torres arrived in 1606. It is believed that Chinese and Malay sailors may have visited the archipelago even earlier. The most significant contact came in the 18th Century involving a man who, had he tried a bit harder, could have made French the main European language of Australia. Forget “G’day mate”, Crocodile Dundee could have been saying “Bonjour mon ami” while inviting the Americans to stick another crevette on le barbie. French Navy navigator Louis-Antoine de Bougainville sailed through the area and named it the Louisiade Archipelago in 1768 − a full two years before Captain James Cook “discovered” the east coast of Australia. Admiral de Bougainville fought the British in Canada and after being involved in settling the Falkland Islands (subsequently given to the Spanish by the French and then conquered by the British, much to Bougainville’s disgust), set off on his Pacific voyages of discovery. It was a dangerous voyage, with headwinds and lurking reefs as he worked east to what’s now Rossel Island. Rough seas decided him against venturing further south towards Australia and he then sailed north-west to the Philippines and the Far East via the South China Sea. The then hidden treasures of New Guinea, the Torres Strait and Australia were only dimly known of from the earlier Dutch navigators and not places an explorer would venture without good reason. Mapping of the area would have to wait more than 30 years until English navigator Owen Stanley charted the Louisiades with two vessels in the early 19th Century. Sadly Owen had a seizure during this voyage and died aboard his ship anchored in Sydney Harbour shortly after completing his mission. He is remembered today with the Owen Stanley Range along Papua New Guinea, which is home to the famous Kokoda Trail of World War II fame.